When the hot weather arrives, having your own backyard pool is a great way to cool off. However, to enjoy a refreshing dip in an in-ground pool means first choosing what sort of pool to install. How do you decide between a vinyl 1 liner 2 or fiberglass 3 in-ground pool? We will explore these options below so that you can make an informed decision. Your pool will inevitably dominate your backyard, if not fill it completely. And, you want it to be as attractive as possible. Factors such as color and shape are an important part of the decision. The shape of an inground pool ranges from classic rectangular to the very popular kidney shape as well as other geometric or abstract designs. If you choose to install a vinyl liner pool, you can choose any shape you want that your installer can create. This is because the adaptable vinyl liner can be fitted to any size or shape. On the other hand, if you choose a fiberglass pool, you are limited to the shapes and sizes available from the manufacturer. There is also a maximum width or length limit of 16 feet because it must be shipped to your home on a truck. On the other hand, you have the advantage that the fiberglass pool arrives with all steps and ledges already built in, while with a vinyl liner pool, your installer must build them separately. They will probably contrast with the pool liner itself and may detract from its overall appearance. While the fiberglass pool maintains its original color for its entire lifespan of 20 to 25 years, after a few years a vinyl pool liner will fade, especially if you are using chlorine 4 to keep the pool water clean. The vinyl becomes bleached and unattractive. The surface of a fiberglass pool is smooth to the touch and non-porous. Because it does not harbor bacteria and algae, weekly maintenance is low, so you will not need to use as many chemicals to maintain the water. The vinyl pool liner has a very smooth surface that is also comfortable to the touch, but while the vinyl surface itself is non-porous, algae can develop in the seams 5, requiring more upkeep. The installation of both fiberglass and vinyl liner pools is best left to professionals. In both cases, the first step is the excavation of the hole for the pool. That involves the use of heavy equipment, both to dig the hole and to carry away the excavated dirt. Both pools require a solid bottom, probably with poured concrete. 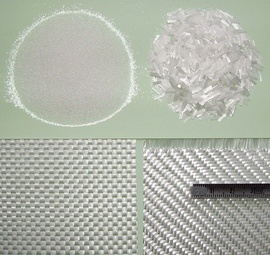 Additional options for a fiberglass pool are sand or gravel. The big difference between the two installations is that the vinyl liner is assembled and installed onsite, while the fiberglass pool arrives in one piece and is lowered into place. Once the pool is in place, the completion of perimeter sidewalks and fencing are basically the same for each. From beginning to end, it will take less than 2 weeks to install a fiberglass pool and 3 to 5 weeks to install a vinyl liner pool. The total average cost of an in-ground fiberglass pool is $60,000. The materials for the pool itself cost between $10,000 and $19,000 for the shell itself, with an additional $10,000 in other materials and between $10,000 and $20,000 in labor. This is based on 160 man-hours of labor, or 5 people for 4 days work for site preparation, hole excavation, and pool installation, including plumbing and pumps. Finishing work, such as the perimeter sidewalks and privacy fencing, costs another $10,000. Lights, covers, and equipment may add additional costs. A vinyl liner pool costs less initially at $37,000. The vinyl liner itself costs $4,500 - $6,000, while labor takes up, another $10,000 for excavating and installing, and additional parts cost around $11,000. The sidewalks and fencing cost the same as for the fiberglass pool at $10,000. 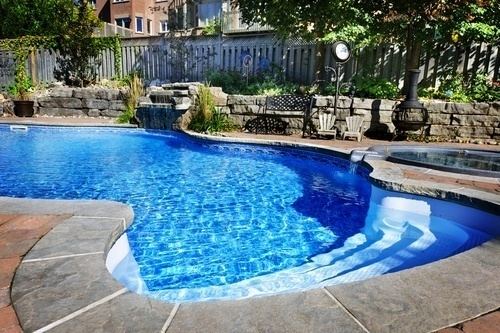 However, you need to factor in the replacement cost for the vinyl liner when comparing costs with the fiberglass pool. You may spend between $3,000-$7,000 every 7 years for the life of your pool. Once your fiberglass pool is installed, expect it to last for up to 25 years. The interior gel finish may need to be reapplied every 10 years or more at a cost of approximately $5,000. 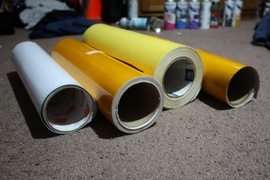 It will not fade and tear, however, as a vinyl liner is likely to do. The vinyl is very thin and is susceptible to damage from sharp objects, so it will be harder to keep in good condition if you have pets or children. This, as well as its tendency to fade and degrade from exposure to chlorine, will make it necessary to replace after as few as 7 years. The steel or polymer walls, however, can last much longer. A fiberglass pool will save you money on electricity as compared to a vinyl liner pool. It does need as much cleaning, so the pumps 6 only run for 4 to 6 hours a day, less than the recommended time for a vinyl liner pool. 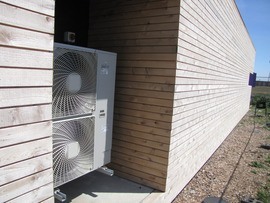 This can make a big difference in annual maintenance costs. An inground pool used to be a great asset when selling your home, but if you have a vinyl liner pool, you may find that it actually hurts your chances, especially when compared to a fiberglass pool. Unless your vinyl liner was installed in the past couple of years, it is likely to look faded and less attractive, and the prospective buyer is going to see where money is going to have to be spent in the next few years. On the other hand, a well-maintained fiberglass pool holds out the promise of years of low maintenance and no replacement costs. Even then, you may not recoup your initial costs in the selling price. If you are planning to move within a few years, it is probably best to postpone the installation of a pool until your next home. How much does it cost to build a fiberglass or a vinyl liner pool in my city? Cost to build a fiberglass or a vinyl liner pool varies greatly by region (and even by zip code). To get free estimates from local contractors, please indicate yours.